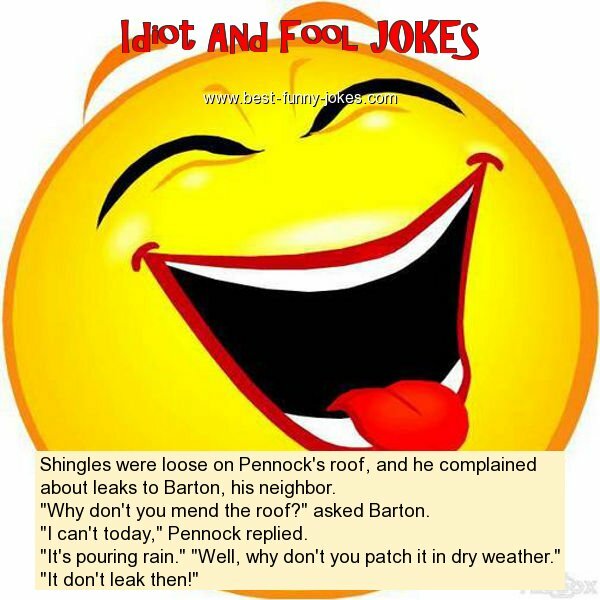 Shingles were loose on Pennock's roof, and he complained about leaks to Barton, his neighbor. "Why don't you mend the roof?" asked Barton. "I can't today," Pennock replied. "It's pouring rain." "Well, why don't you patch it in dry weather." "It don't leak then!"